What can be said about this Camaro Super Sport with only 14,250 miles? Sporting a 6.2 Liter V-8 making 455 Horsepower with a 8-Speed Automatic Transmission, you'll be sure to turn heads! This Camaro comes fully loaded with features like a Heads up display, Brembo Disc Brakes, Magnetic Ride Control, Torque Vectoring and Track mode all exclusive to the SS Trim! 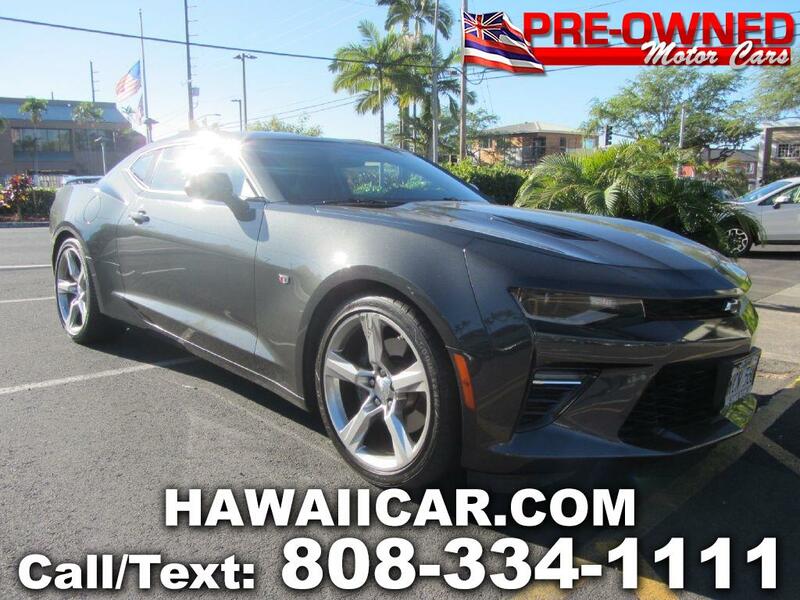 Come on down to Pre-Owned Motor Cars and take this Beautiful Camaro Super Sport, your dream car home! Please contact us for more detailed information 808-334-1111.